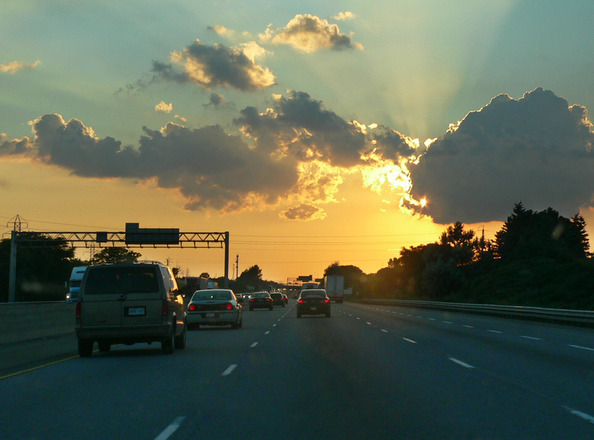 Summer marks a sharp increase in travel, including the ever-popular road trip. If road trips are on your calendar this summer, there are certain things you must keep on hand to make your travels much more enjoyable. Here is our top list. Travelling by car can take many hours. No matter how long your ride, having some good entertainment options for both the driver and passengers can make all the difference. While books are an option that obviously don’t work for the driver, audio books, podcasts and music are all great choices. Bringing along headphones for passengers is a great way to ensure differing tastes don’t interfere with one another. A reliable GPS can get you out of tight spots and will help you avoid annoying delays. If you have a standalone GPS, make sure you have done the latest updates. If not, renamed roads, new intersections and byways will not appear. If you have an iPhone, your Maps program is easily your best choice as traffic is updated in real time, so you can avoid routes with major slowdowns. A personal Internet connection can be your saving grace when you travel. Much of rural America still does not have Internet access. With a portable, wireless Internet device that you plug in, you get to access the Internet privately with no security concerns no matter where you are. If there is cellular phone service in your area, you can use your wireless Internet. This will save you from running around looking for wifi. Spending long periods of time in the car means that you will need to clean up regularly. Pack hand wipes, surface cleaning wipes, small garbage bags, paper towels and a small container of laundry detergent. This ensures you have everything you need to clean up your vehicle and your hands while on the road, and to do your laundry when you get the chance. Bringing such items from home will save you on the cost of convenience stores. Bringing your own pillow and blanket can ensure your comfort on your road trip. Even if you don’t sleep in the car, these items can ensure that you can comfortably relax, especially if your driver tends to keep it cool in the car. Even when you stop for the night, your own pillow ensures that you sleep better. Having a meal plan is probably one of the most unusual must-haves on our list. However, it is easy enough to get into a rut of eating the same thing or snacking more than actually having meals. If your travels include access to a kitchen, make sure you plan a limited menu that can mostly be prepared stovetop. This will give you the most versatility especially if you move around often with differing equipment available to you. Plan and pack healthy snacks and journal your food to ensure a balanced diet. An emergency plan can be as simple as being a member of an auto club like AAA or having towing and labor coverage on your car insurance. Doing so will ensure that you get help quickly without breaking the bank in case of an accident or breakdown. By taking the time to ensure you have these 7 must-haves for your next road trip, you can rest assured that you have everything you need for a great trip no matter where you go.